Remember the days when ‘mobile gaming’ meant guiding an ever-expanding pixel-snake towards small blocks of ‘food’ without eating itself? It’s fair to say mobile gaming has come a long way since then, with console quality games the norm rather than the exception. So, if you’re looking for something a bit meatier than Candy Crush to play on the bus, check out some of these belters. Most of them are free too! If you love shooting zombies (and who doesn’t?) then you’ll love Dead Trigger 2. It’s essentially Call of Duty’s zombie mode but with a bit more story and less famous people making cameos. Best of all, it’s completely free to play. There are obviously some ‘freemium’ elements, but you can’t really argue when you’re getting a game of this quality without having to pay a penny. We’re still amazed that a game the size of San Andreas – which is still massive by modern gaming standards – can be played on a mobile device. And for less than a fiver too! If you’ve never played San Andreas before, you’re in for a treat. If you have, then its still well worth revisiting! FIFA’s ridiculously addictive game mode comes to mobile, and its every bit as addictive as the console version. Buy players, combine them into a dream team and take on other teams in a bid for supremacy (and coins. Lots of lovely coins). The game itself is not quite as fluid or realistic as the console version, but it should be more than enough to scratch your football gaming itch on the move! There’s a surprising number of decent racing games on mobile, although Asphalt 8 is the pick of the bunch. First off, it looks incredible; the graphics are practically console quality. The gameplay itself is pretty great too, with plenty of tracks and cars to choose from. Asphalt 8 is free to play, which means there’s quite a lot of in-app transactions and ads, but its totally worth it. Vainglory is a multiplayer player online battle arena game, similar to DOTA 2 and League of Legends. Players take part in 3 vs. 3 battles, with both teams attempting to capture (or destroy) each other’s bases. As well as earning critical acclaim, Vainglory has a lot of fans at Apple too: it was granted a demo slot at the iPhone 6 launch event, as well as featuring in an ad starring Justin Timberlake! Let’s not beat around the bush – Modern Combat 4 is pretty much Call of Duty for mobile devices. We’re not complaining though: this is as close as you’re going to get to COD’s global conspiracy stories and addictive multiplayer on the move. 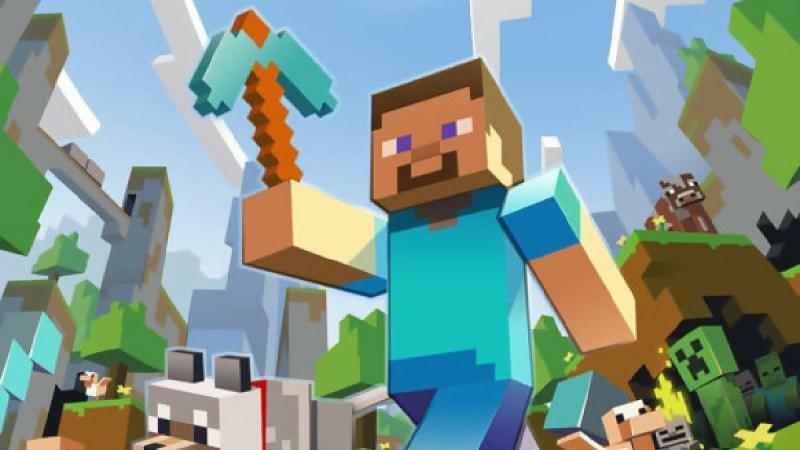 The mobile version of global megahit Minecraft was once an inferior relative to its PC and console counterparts. However, thanks to a number of huge updates, its more or less the same immersive experience that has made Minecraft so popular. This expansion to XCOM: Enemy Unknown offers pretty much the same strategic gameplay, with a full story mode and multiplayer. It’s a bit steep price-wise at £10.99, and you’ll need a powerful device, but it’s well worth it for one of the most immersive games on mobile. Or any game by Telltale Games, to be honest. They’ve been releasing their episodic stories on mobile since The Walking Dead, and they’re all pretty much as good as the console versions. In fact, the touch screen controls almost work better! The Infinity Blade series is renowned for pushing the boundaries of mobile gaming, and Infinity Blade 3 is no different. Its combination of stunning graphics and engrossing gameplay wouldn’t seem out of place on the current gen of consoles, which makes the fact you can play it on your phone even more amazing. Share your favourite mobile games with us in the comments. If you’re planning to upgrade your device, why not sell your current phone or tablet with musicMagpie? Just click the button below to get started.